Not losing that last bit of weight is so frustrating! It is an indication that you need an extra boost for losing that clingy fat. And this is precisely where CLA or conjugated linoleic acid comes into the picture. It is found in meat and dairy and is also sold as supplements. It aids weight loss and helps build lean muscle mass. 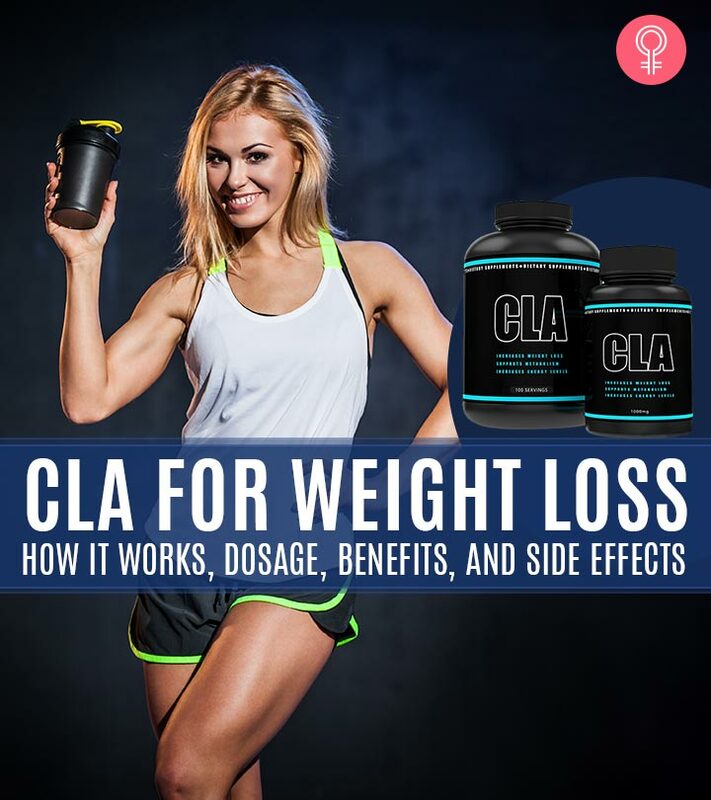 Read on to know how to use CLA for weight loss, how it works, the dosage you need, best CLA supplements in the market, benefits, and side effects. Swipe up! 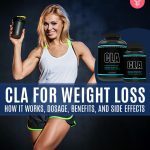 Does CLA Aid Weight Loss? CLA, by its chemical structure, is a positional and geometrical isomer (chemical compounds that have same formula but different chemical structure) of linoleic acid, a polyunsaturated omega-6-fatty acid. It is naturally found in goats, sheep, buffaloes, cows, chicken, etc. Linoleic acid gets converted to CLA by the fermentative bacteria, Butyrivibrio fibrisolvens in the digestive tract of ruminants. These bacteria either isomerize the linoleic acid or synthesize CLA via α9-desaturase. CLA can also be produced industrially by heat treatment or partial hydrogenation of linoleic acid (1). Now, the question is, does it work for weight loss? Scroll down to find out. CLA is said to aid weight loss, and the fitness industry is going ga-ga over it. But does it really work? If yes, how? Well, let us first take a look at a few scientific studies and then come to a conclusion. Scientists at the University of Wisconsin-Madison studied the effect of 3.2 g/day CLA on overweight adults for 6 months. The body weight of the participants was calculated every day before and after the holiday season. After 6 months, the participants’ body composition, RMR (Resting Metabolic Rate), and blood chemistry were determined. The scientists found that the control group (the group that did not receive CLA) gained weight post-holidays, and the group that received CLA had lost weight, had better body composition (less fat), the participants felt better, and did not gain weight post-holidays (2). In another study by Norwegian scientists, overweight participants were supplemented with 3.4 g CLA/day for 24 months. After 24 months, the scientists found that the plasma LDL had lowered, and the Body Fat Mass (BFM) had decreased (3). To find out the dosage at which overweight individuals respond to CLA and lose weight, Norwegian scientists studied 60 overweight individuals. They divided them into five groups that received olive oil (placebo) and 1.7g, 3.4g, 5.4g, and 6.8g CLA per day for 12 weeks. By the end of the 12th week, the scientists found that the groups that received 3.4g and 6.8g CLA/day were able to lose a significant amount of fat (4). A review published in The Journal Of Nutritional Biochemistry listed the ways that CLA aids weight loss. According to this report, CLA has anti-obesity properties (5). It inhibits excess calorie consumption and adipogenesis and increases the metabolic rate. It also prevents fat deposition, suppresses lipogenesis, and induces fat mobilization. Takeaway Point: It is clear that humans are responsive to CLA and can lose weight. And it works by lowering the LDL levels, increasing fat mobilization, inhibiting fat storage, and boosting metabolism. 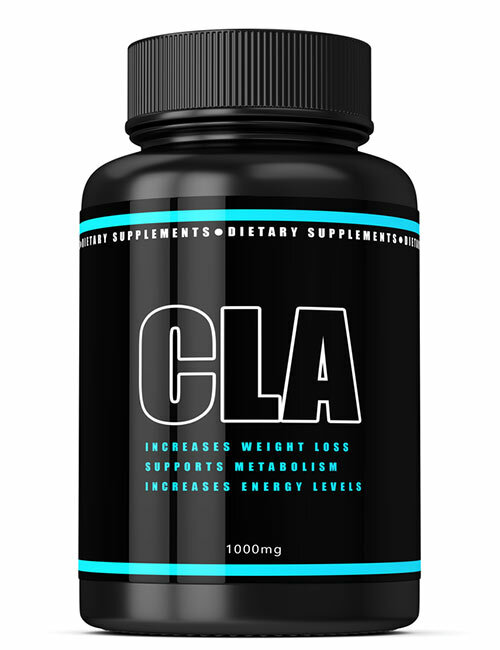 But how much CLA per day is recommended for weight loss? Find out next. As per scientific studies, a dose higher or equal to 3.4 g per day should work. According to clacenter.org, 2-4 g CLA/per day is ideal (3-5 soft gels per day containing 750 mg CLA each). Since CLA is an essential fatty acid (humans cannot synthesize CLA and have to depend on other foods to get it), even if you are not on a weight loss mission, you must consume foods that are good sources of CLA for proper body function. So, up next, is the list of foods loaded with CLA. Here’s a table that lists the best sources of CLA. Take a look. It is clear that you can also get CLA from whole food sources. Just make sure you are getting more than 3.4 g/day of it. Design your meal by including foods high, medium, and low in it to get the required amount of CLA. If you cannot, talk to a doctor and take CLA supplements. Let’s now take a look at the best CLA supplements in the market. You can choose either whole food sources or supplements for providing your body with enough CLA. But is CLA only for weight loss? Well, here’s a list of other benefits of consuming it. Apart from weight loss, conjugated linoleic acid can help in many other ways like fighting cancer, lowering cholesterol levels, and lessening allergic reactions. Check out the following list to know more. Scientists have found evidence that CLA has antitumor or cancer-fighting properties. In fact, including as low as 0.5% CLA in your diet can help protect you from breast, lung, skin, stomach, and colorectal cancers (6)! Asthma is caused by the highly inflammatory leukotriene, which is 1000 times more potent than histamine, causing bronchoconstriction. CLA has anti-inflammatory properties, and scientists have found that it can help lessen or alleviate the symptoms of asthma (7). As discussed before, CLA aids weight loss, which means that you lose fat. Not muscle. When you eat right, exercise, and consume the required amount of CLA, you will lose fat and build lean muscle mass. 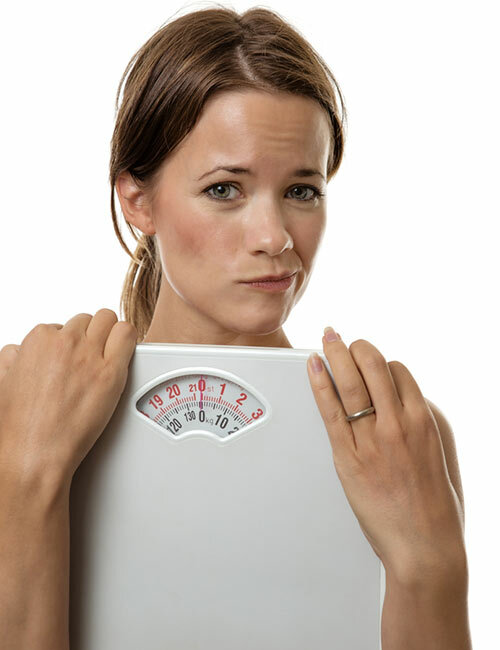 When you gain lean muscle, you may seem to be gaining weight, but your body composition will improve. Yes, by consuming an adequate amount of CLA from whole foods or supplements, you can help lower the LDL cholesterol levels (8). Though CLA has not been found to increase good (HDL) cholesterol levels, lowering LDL cholesterol will protect you from cardiovascular disease. CLA is an essential fatty acid. And it is not synthesized in the human body. Scientists have found that CLA can help boost immunity, thereby protecting us from a host of diseases (9). As mentioned before, CLA has anti-inflammatory properties. Hence, consuming it can help lessen food and skin allergies (10). Now, let’s find out if there are any side effects of consuming CLA. Though CLA is good for you, there are a few concerns. Take a look at the following list. Though CLA promotes weight loss by preventing fat accumulation and accelerating lipid mobilization, it can also cause inflammation and lead to insulin resistance (11). It can cause fat accumulation in the liver (12). Overdosing may cause nausea, diarrhea, bloating, and stomach pain. Take Home Point: Before using CLA supplements, especially if you are a regular meat eater and workout regularly, talk to your doctor or dietitian. 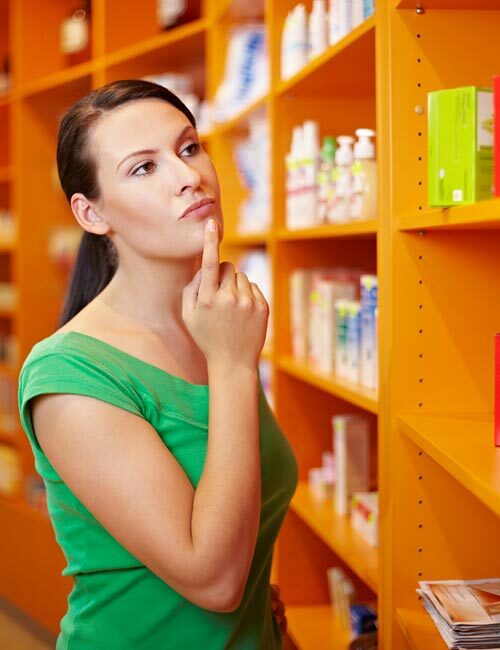 Health professionals will recommend a CLA dosage that suits your body. To conclude, take CLA weight loss supplements only if your weight loss has stalled, you want to participate in a bodybuilding competition, or do not consume meat or dairy products. 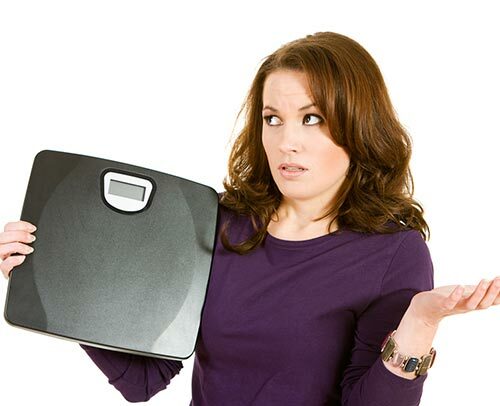 Yes, it is good for weight loss, but do not only depend on it to lose weight. Eat healthy and exercise for better and lasting results. Take care!